It’s Saturday again, November 24, 2018. And oy, it’s National Sardines Day, celebrating that repugnant fish. I will eat no sardines—ever. It’s also Teacher’s Day in Turkey, but remember that Turkish teachers aren’t allowed to teach evolution before college. 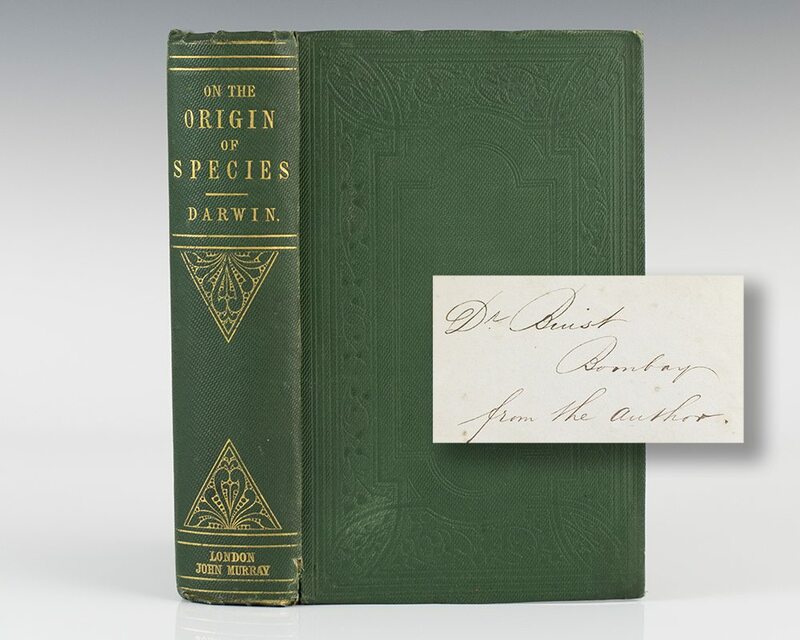 More important, it’s the day Darwin published his Big Book in 1859 (see below). On this day in 1877, Anna Sewell’s novel Black Beauty was published. I’ve never read it, but perhaps readers who have can weigh in below. On this day in 1963, just two days after JFK’s assassination, his killer Lee Harvey Oswald was fatally shot by Jack Ruby on live television. Remember this? (Trigger warning: shooting!). The video is from the BBC, and includes Dallas Times-Herald photographer Bob Jackson talking about his Pulitzer Prize winning picture of the shooting, shown as the YouTube title picture below. It was on this day in 1971 that the hijacker who called himself “D. B. Cooper” parachuted from a Northwest Orient Airlines plane over Washington State, carrying with him $200,000 in ransom money (enough to buy a first edition of The Origin). Neither “Cooper” nor the money was ever found. Finally, it was on November 24, 1974 that Tom Gray and Donald Johanson discovered a largely complete Australopithecus afarensis skeleton, which they named “Lucy,” in the Afar Depression of Ethiopia. Darwin was right when he surmised in 1871 that the ancestors of modern humans would be found in Africa. Those who died on this day include John Knox (1572), Georges Clemenceau (1929), Diego Rivera (1957), Lee Harvey Oswald (1963; see above), Freddy Mercury (1991), John Rawls (2002), Warren Spahn (2003), and Florence Henderson (2016). Cyrus: Life is not easy. Cyrus: Życie nie jest lekkie. Some tweets from Matthew. Re the first: am I too old to do another postdoc? Cats will be cats. . .
"Black Friday" is United States holiday on which journalists and similar educated workers mock the poor, for aspiring to own affordable consumer products. This entry was written by whyevolutionistrue and posted on November 24, 2018 at 6:30 am and filed under Hili Dialogue. Bookmark the permalink. Follow any comments here with the RSS feed for this post. Both comments and trackbacks are currently closed. All the more sardinos for me! I don’t mind if they’re freshly caught and fried on a beach in Spain, or found in a tin in the supermarket; I’ll eat them. But I do have limits – the bloater (a herring pickled in brine with its guts in situ) is pretty nasty and I don’t get the love here for the bland and bony smelt. And PCC[E} may not know that some of the best pasta sauces use sardines or anchovies in the mix. A nice recipe comes from our Italian friend – pasta, sardines, fennel, raisin, olive oil. I don’t recall the name of the dish. Pasta con le sarde alla siciliana. Often also with pine nuts and saffron. I tried it twice: once made by me and once by a friend, and was relatively unimpressed given the complexity of ingredients. “I fart in your general direction” is the most legendary line in the movie! While widely known as D. B. Cooper today, that’s not what he called himself. He called himself Dan Cooper. D. B. Cooper was actually the name of another person, who was investigated shortly after the incident but found to have no connection to it. Research confirms that it was, apparently, in the final scene – the Castle Arrrggh. Along with a lot more French taunting. Interesting that a knight having all four limbs systematically cut off and another knight being decapitated by a rabbit weren’t a problem for the A rating. @ 1:12 in the Darwin Award video: At that moment, he became a tree hugger. On this day in 1963, just two days after JFK’s assassination, his killer Lee Harvey Oswald was fatally shot by Jack Ruby on live television. Remember this? Anyway, I don’t remember much about the Mass, except that it was a somber affair — the Irish-Catholic prince in the White House having just been martyred in Dallas — with all the women dressed in black, most of them sobbing quietly behind the gauzy veils that hung down over their faces from the Sunday go-to-church hats atop their heads. What I do remember most is the look on my father’s face when we got home. 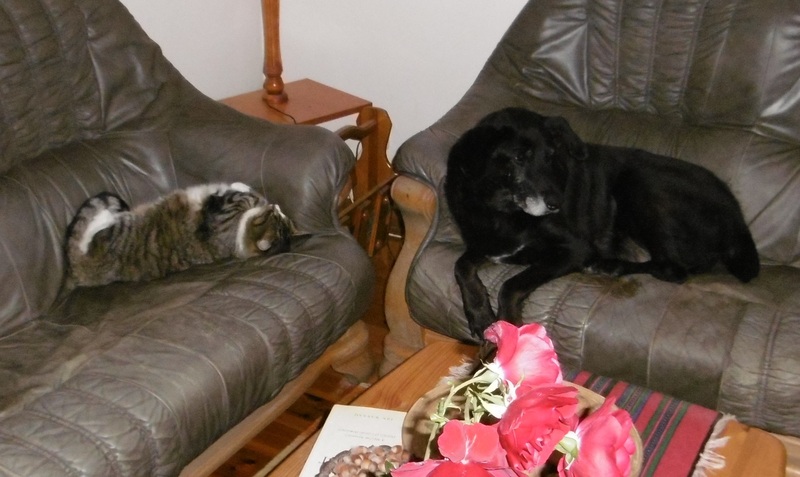 He met us at the door as we came in (which was strange itself, since he’d usually be spread out in the living room reading the Sunday paper or taking a nap). All the blood was drained from the his face — a look I’d only seen once before, when he rushed my my baby brother to the emergency room after the kid had aspirated a little plastic toy and was making these awful wheezing and choking sounds. And I will never forget the words that came out of his mouth as we walked in the door: “My god, they shot the guy who shot Kennedy.” He’d been watching the news on tv and had seen the Oswald shooting live just before we’d pulled up in the driveway. I also remember that it was never the same going back to 5th-grade civics class after that; I could never think about “government” quite the same way again. That weekend had a profound effect on me personally, and on my nation, and neither of us has ever yet fully come to grips with it. The nation had been unable to protect its own president, and then had let the guy who shot him get murdered himself, in cold blood, on live tv. The whole goddamn mess made no sense; nobody knew why, or who the hell Lee Harvey Oswald was, or why in the world Jack Ruby, of all goddamn people, would be the one to take revenge. Everyone seemed to have a theory on it — that Oswald was a patsy, that the people behind it were the mob/Cubans/CIA, take you pick — all of which kept getting more bizarre and complex as time wore on. The short answer, I guess, is that there was a loss of trust and confidence and innocence regarding “the American Dream” that was gone for good. And I think that’s true for most of my generation. As much as anything else, it’s what kicked off “the Sixties” as we think of that decade today. When I say “kicked of the Sixties,” think about it — a couple months later the Beatles were on Ed Sullivan and Cassius Clay won the heavyweight championship while reciting braggadocios poetry and immediately changed his name to “Muhammad Ali.” That summer, Neal Cassady drove the bus to the NY world’s fair where our host saw Michelangelo’s Pieta and Kesey and the Pranksters met Kerouac and Tim Leary. Within a year of that, LBJ had sent 50,000 combat Marines to hit the beaches off DaNang, Malcolm X was dead at the Audubon Ballroom, and Dylan had gone electric at Newport. And I was still not yet a teenager. The times they were a-changin’. That not only Kennedy’s assassination was a great shock to the American people, but also the assassination of his murderer could have such immense consequences and aftereffects in the thinking and beliefs of the Americans, I had no idea about that so far. Thank you very much for your detailed answer. Lee Harvey Oswald became an obsession of sorts for many people, including some of America’s best writers — think Don DeLillo’s Libra or Norman Mailer’s Oswald’s Tale. Great comment Mr. Kukec. And along with your menagerie of counter-culture heroes of the 60’s, I’d like to add Hunter S. Thompson. Here’s to Gonzo! Funny you should mention the good Doctor, Mark. I thought of him when I wrote “the American Dream”; its death was his beat (and the subtitle of his collection Songs of the Doomed). I often wonder what he would’ve made of a “president” Donald Trump. One of your finest posts you old tart. Love the photographer in the near misses compilation; as soon as he survives death by a whisker he lifts the camera to take the shot. A few years ago I visited the Musée Toulouse-Lautrec Albi, southern France. If you are ever in that area I recommend a visit. 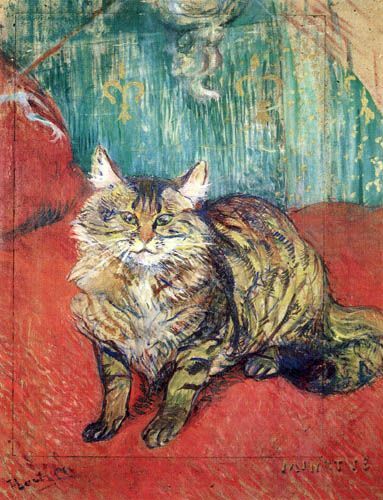 I don’t share Prof. Coyne’s strict assessment of Tolouse-Lautrec cat – I quite like it. The Queen can move in any direction, but the bishop has to stay on the black squares. Both “Black Beauty” and “Bambi” were not at all targeted for children, but were ethical pleas for the humane treatment of animals. BB was frequently described as “The Uncle Tom’s Cabin for horses”. Film versions of BB invariably expand the roles of the humans in the story, usually having a boy looking for his lost horse. It is true that in the book the BB is reunited with a stable boy she knew as a young horse near the end, but the novel has no quest to find the horse. Disney’s adaptation of “Bambi” was a bit more faithful in focusing on the animal characters, but that novel is considerably darker in tone than the Disney film. These Hili posts have so many interesting tidbits, some of which always trigger some memories. 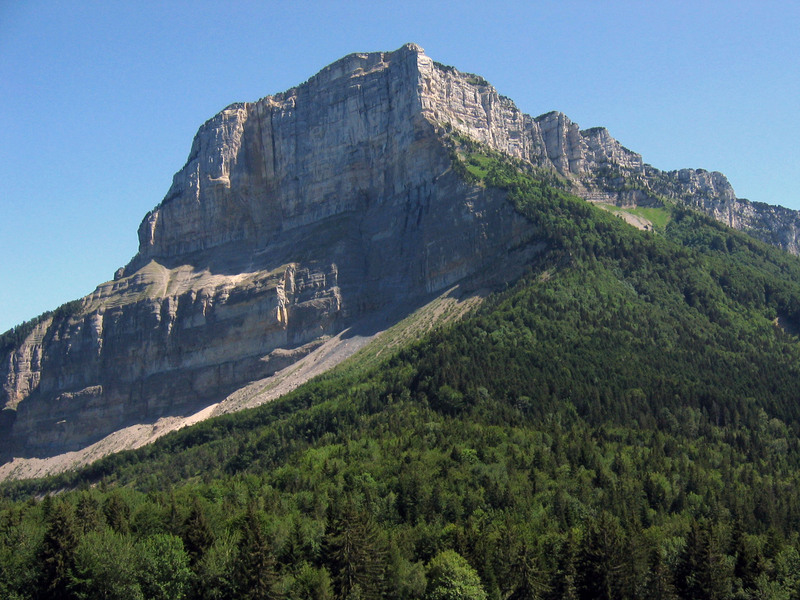 The Mont Granier slide reminds me of the Frank Slide in what is now Alberta. I visited it decades ago as part of my Dinotour. It was truly an amazing experience. We stood on broken rocks on the valley floor, looking up at the mountain whose face had fell off in 1903. It looked like it had happened yesterday as the rocks looked so clean. The paleontologists with us pointed out the fossils in all the rocks indicating that they were once part of the ocean floor. It was also eerie to contemplate the town entombed 20 feet beneath our feet. But, Wikipedia says, not only did they mine their way out, they cut another exit when their first one was too dangerous to use due to rockfall. That’s a pretty resourceful group of guys. I wouldn’t mind havin’ some brewskies with ’em. Although, in terms of slides, the Frank slide is I think dwarfed by the one that fell off Monte Toc into the reservoir of Vaiont Dam in Italy. The dam survived but the water level is estimated to have risen 250m over the top of the dam. It’s hard even to imagine. The landslide is huge. It rises 100m above the top of the dam and there’s a little narrow road has been built along the top of it, a mile and a half long. And all this fell off the mountain in about 45 seconds. If you walk (with caution, but there’s no sign to say you can’t) through the SR251 road tunnel in the side of the gorge downstream of the dam you can turn and see head-on the full 260m height of the dam (and it scares me sh*tless, I’m not good with heights), and rising above it the landslide that fell into the lake. The flood wiped out the town of Longarone in the Piave valley below. From the rebuilt part of the town you can look up the narrow gorge to the dam and the landslide above it. Fingers crossed that Cumbre Vieja on La Palma doesn’t blow. 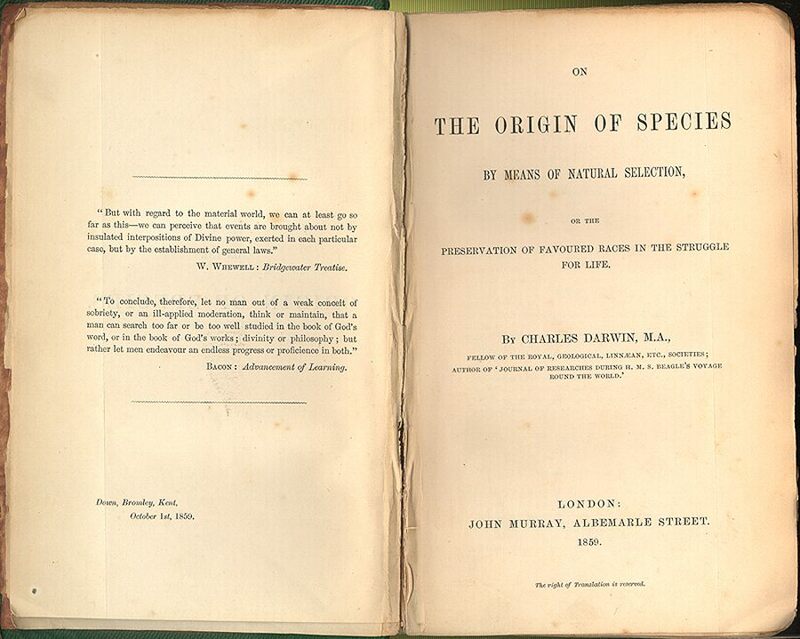 I think I recall that Stephen Jay Gould wrote that he had a first edition of On The Origin of Species. Jack Ruby, as created by Don Delillo in Libra is one of my favorite character studies in fiction. I don’t know about the veracity of Ruby’s personality traits and actions as written, but they sure are memorable; apparently, he was one strange dude.